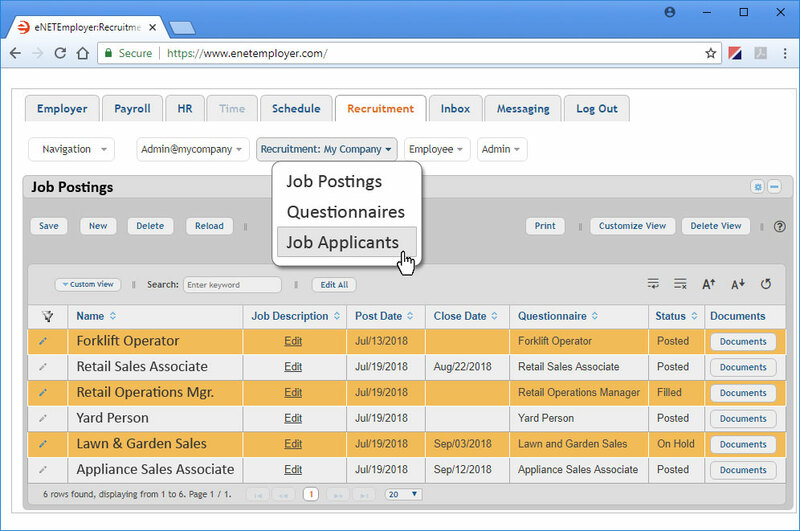 eNETEmployer offers total employee management through a suite of online tools for Payroll, Human Resource, and Applicant Tracking/Recruitment. Use it to empower your business and reduce the rising costs associated with employee management. This proven application alleviates your concern about software backups and updates as they are performed automatically. You have the convenience of calculating your payroll at a time that's convenient to you. And if you're currently outsourcing your payroll, eNETEmployer will perform all the same functions at a fraction of the cost. 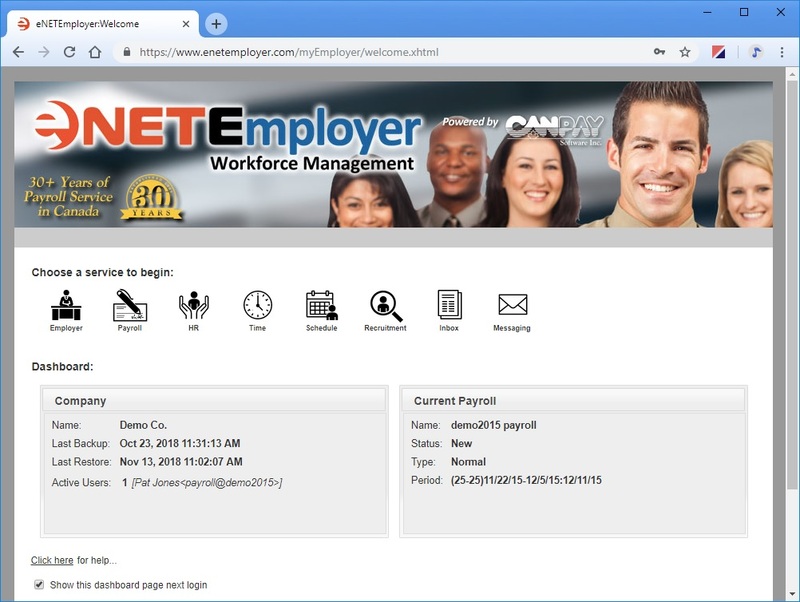 eNETEmployer's payroll module allows you to effectively manage your employee payroll processing and records including salaries, wages, bonuses, and deductions. 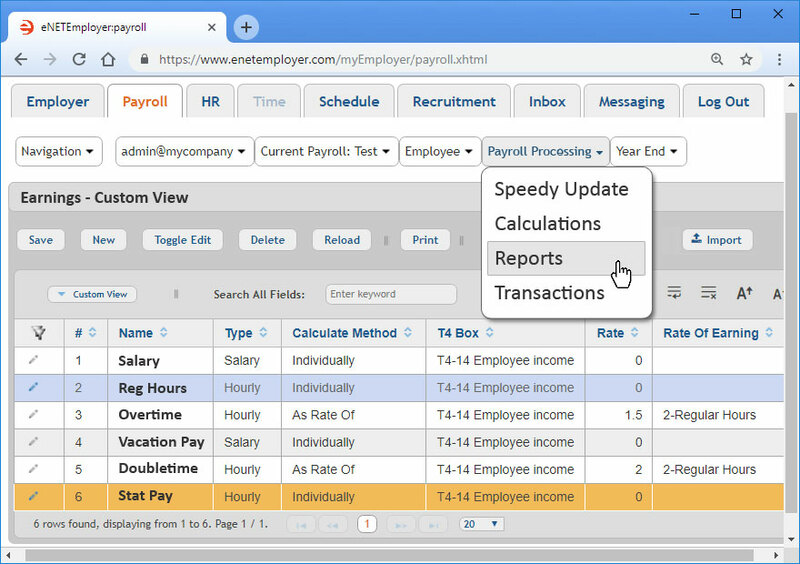 Whether simple or complex, the Payroll module will make the employee payment process faster and more effective. eNETEmployer uses a familiar spreadsheet layout that allows you to re-order columns, expand and collapse rows and sort / filter data. The program's unique Customize Views feature allows you to view company data from every aspect and then produce a detailed report that can be viewed onscreen or exported for further editing if needed. Choose from any of the programs numerous standard reports or use them as a starting point fully customize your own reports, based on the needs for your organization. Easy Spreadsheet Approach - If you know how to use a spreadsheet program, then you are ready to begin using eNETEmployer! Enter data in column form, perform data in-place editing in any cell, and even rearrange column sequences. 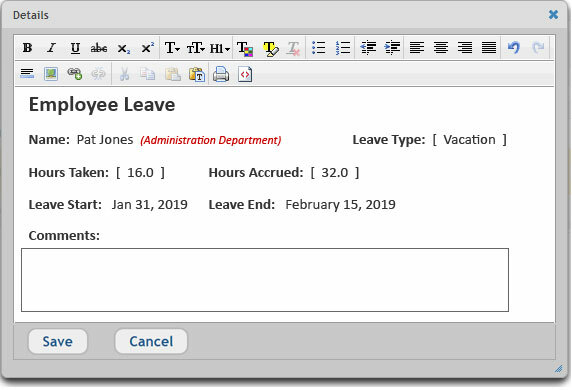 Templates for New Employees - Add new employees quickly using a number of pre-defined employee templates. User-Defined Access Priviledges - Define the users of the payroll system and assign the functions they can perform. Electronic Funds Transfer (EFT) - Deposits funds directly in up to three separate employee bank accounts (e.g. bank, credit union, or other financial institution) using our EFT feature. Multi-Lingual Support - The program supports both official Canadian languages for full employee support. Employee Groups - Process payrolls by employee type or division. You can even setup multiple payrolls to support a global approach for for remote branches of your organization. User-Defineable Functions - Use your own custom formulas to specify the methods that will be used for calculating deductions, benefits and accumulators. Unlimited Earnings, Deduction, Benefits and Accumulators - Define an unlimited number of earnings such as Salary, Regular Hours, Overtime and unlimited deduction/benefits such as Group Insurance, Pension, etc.. Round out the process by adding an unlimited number of accumulators for Vacation, Holiday, Sick Days, Banked Time and more. Printing and Reporting - Produce pay statements, cheques, pay registers, journal entries and even EFTs. Preview these items on the screen or export them for editing using the program's innovative spreadsheet view. The Applicant Tracking module allows you to manage your recruitment needs electronically. From when a candidate reads your job post and submits their application, to when you receive their resume and setup an interview - track each new hire's progress easliy. 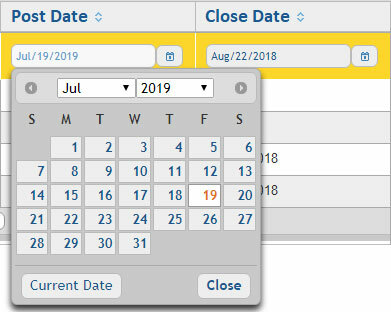 Job postings can be assigned future start and end dates - this allows the job to appear online automatically and to be removed when the posting period is complete. Automating the process means you'll never have to remember to manually add or remove a job. This HR module helps you to deal efficiently with personnel management issues by managing every aspect of your organization's human resources. Use the features to coordinate employee compensation, benefit entitlements, staff leaves, employment equity, group insurance, employee evaluations, performance reviews and more. Manage all types of workplace events such as accidents, human rights complaints, labour grievances easily. Each incident record allow you to add pertinent information as needed. Include such items as detailed accounts of the incident, the dates on which it occurred, any personnel involved, recurrent incident information and any action that needs to be taken. 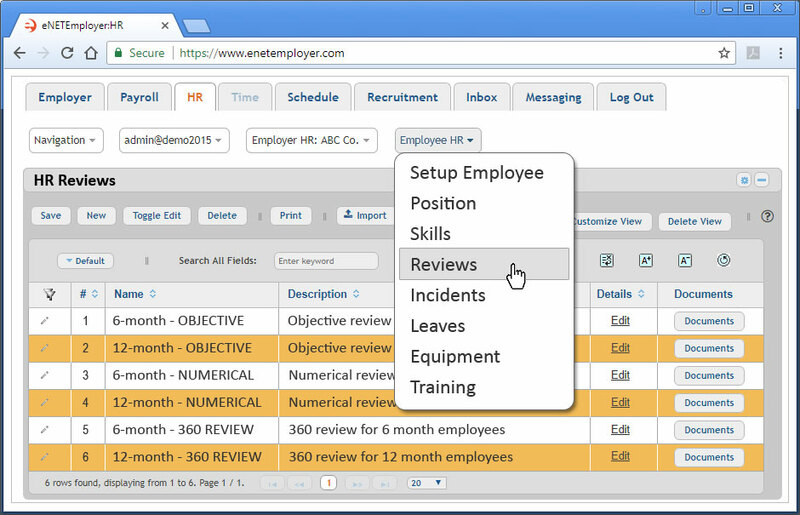 The tracking of incidents and events will help you easily perform company-wide reviews of all ongoing actions. Call 1-800-665-5129 now and get started with eNETEmployer today! Looking for a Payroll Solution in Canada? Canadian Payroll Systems (CPS) provides Payroll and Human Resource software and online solutions for thousands of companies across Canada. If your business has a unique payroll or HR need or you are simply looking for an alternative to your current method, contact us today. We can offer you a customized solution that will suit your unique business requirements. Please call 1-800-665-5129 or send an email request to: sales@canadianpayrollsystems.com. 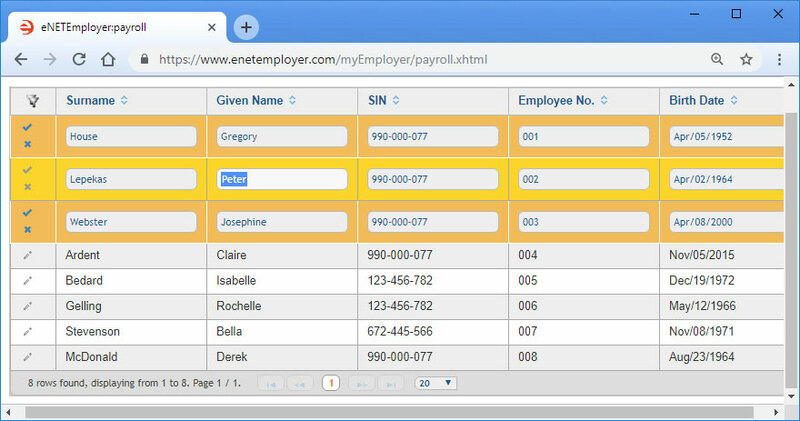 eNETEmployer Payroll and HR software for Canada businesses.